06-02-2018 - Sometime during the late evening hours on Saturday, June 2, 2018 and the early morning hours on Sunday, June 3, 2018, unknown culprit(s) stole a Blue with White 1969 Chevrolet Camaro 427 with Vehicle Identification Number, 124679N648614 with attached BC License Plate, B35476. This Classic Car was stolen from the parking lot of the Sandman Hotel located at 1901 Laforme Boulevard in Revelstoke, BC. If you have any information with respect to this theft or any information with respect to any other Criminal act, please contact the Revelstoke RCMP at 250-837-5255 or CRIME STOPPERS at 1-800-222-8477/1-800-222-TIPS or visit their website at www.revelstokecrimestoppers.ca. 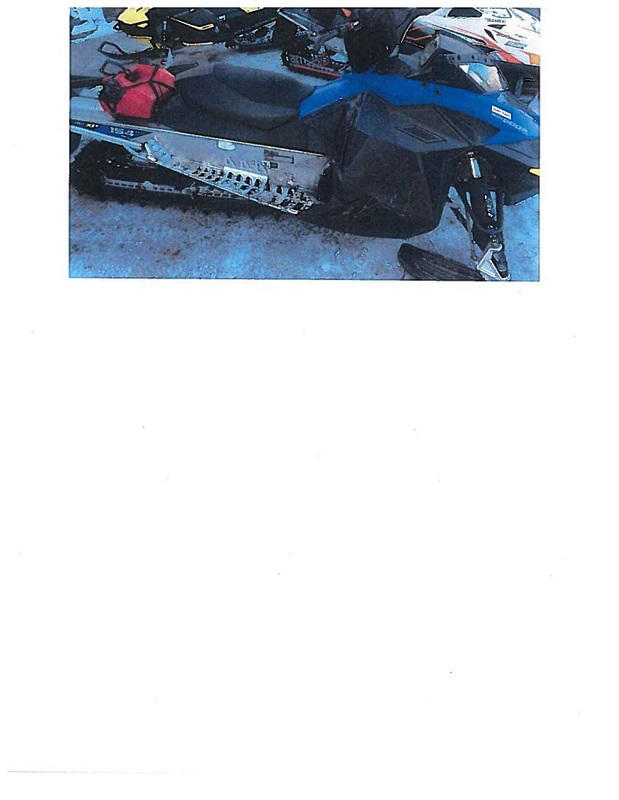 05-26-2018 - On Saturday May 26, 2018 a black and blue Skidoo Summit Snowmobile was stolen out of the back of a truck parked on Sale Mountain in Revelstoke, BC.